Bio : Born 1967 in Seattle, USA. Lives in New York, USA. 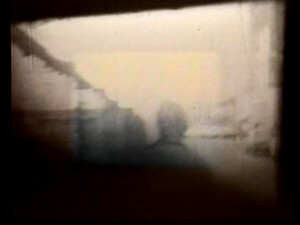 Description : A super-8mm film of a walk through East Berlin in 1989 is the starting point for a visual investigation of the nature of memory. A small handful of images circle over and over, obsessive, repetitive, dimly perceived. They are all that remain of an experience of a place that was starting to vanish just as it was about to be seen.